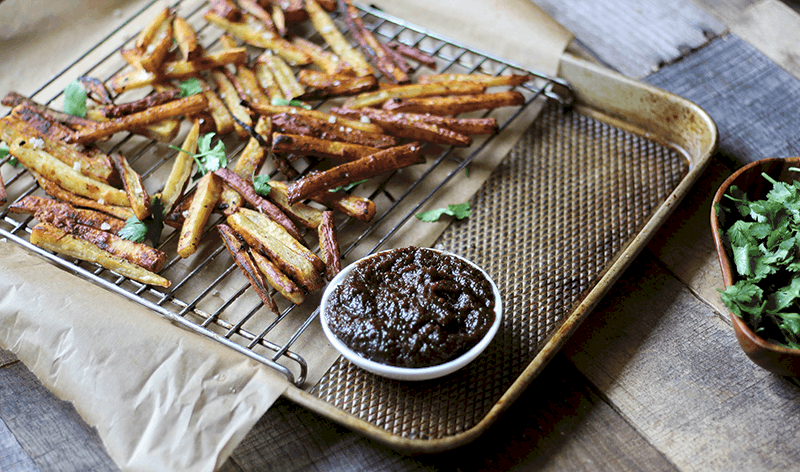 This recipe makes the most perfectly crisp Sweet Potato Fries and deliciously savory sweet Bacon Jam Dipping Sauce. The sweet potato fries are unlike any you’ve ever tried. 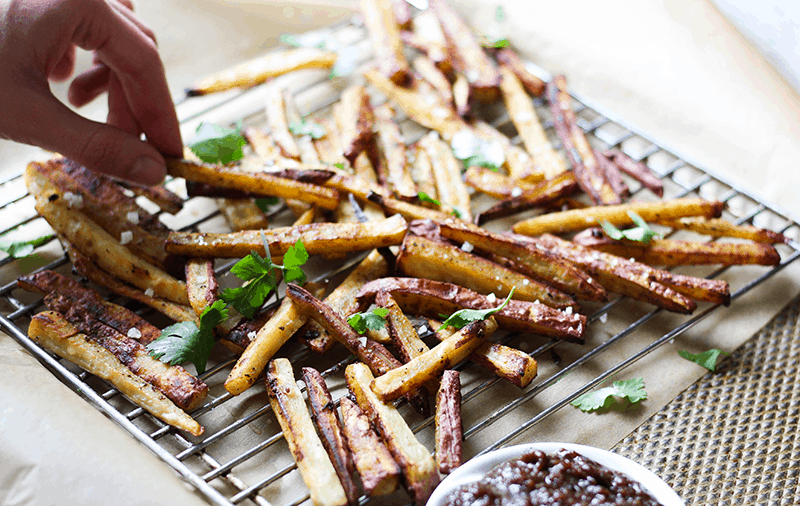 The Japanese potato variety and cooking method allows these fries to become ultra crispy and not overly sweet – the perfect combo to dip into a Bacon Jam Dipping Sauce. Every year it’s the same: November rolls around, just about 5 weeks into the fall season, and sure enough I’m already completely bored with roasted veggies. 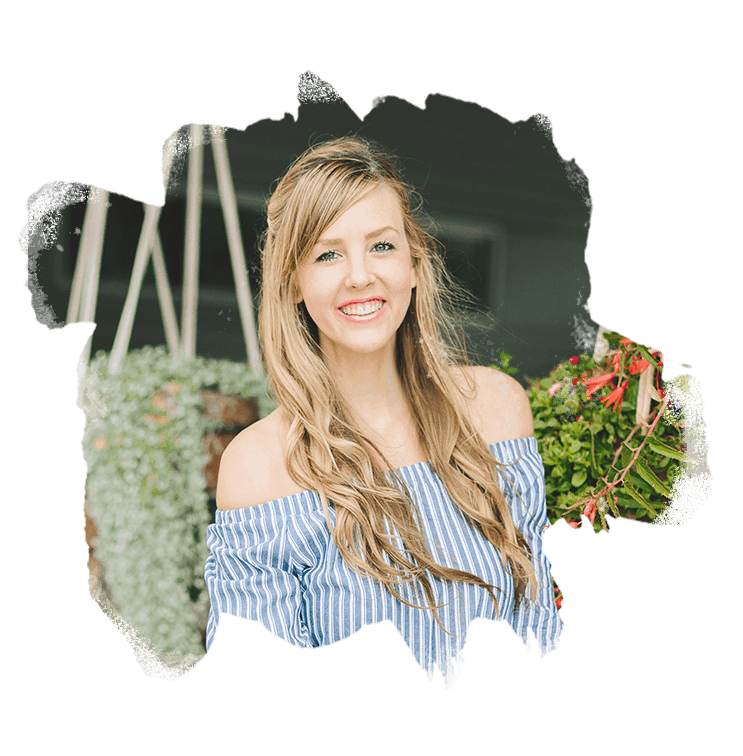 If you can relate, I have a trick for you to try. Instead of tossing those sweet potatoes into the oven and then force feeding yourself yet another mushy side dish, do this instead. First, forget about your go-to sweet potato, the jewel yam. The Japanese variety has more of a neutral flavor, and tends to crisp better in the oven. First, slice your Japanese sweet potatoes into ribbons and throw them into a bowl of cool water. Let them sit in there for about an hour to draw out the excess starch (this will help to keep them crispy). Add a couple spoonfuls of bacon grease to the bowl along with your favorite seasonings, and give them a good rub down. Throw those onto a parchment lined baking sheet, and into the oven for 25-35 minutes, and boom! 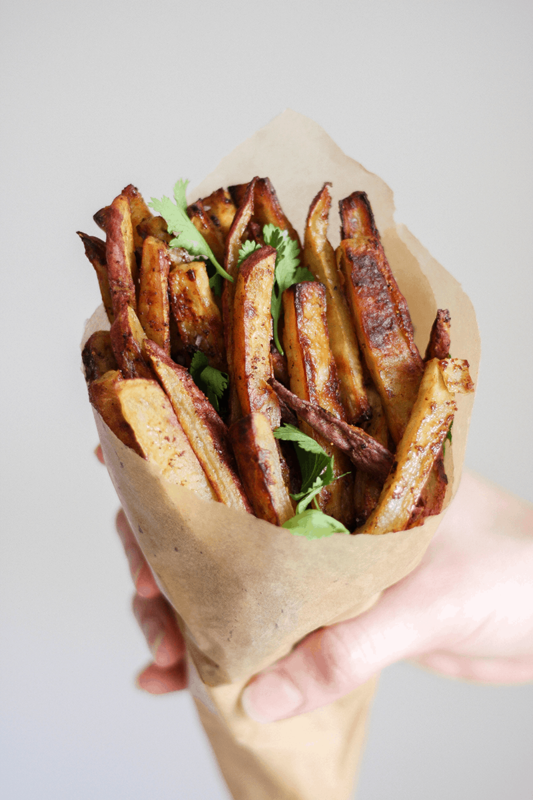 Roasted sweet potatoes in the form of everyone’s favorite treat, french fries. I’ve used this same oven roasted veggie fry recipe with pretty much every starchy veggie under the sun: Japanese sweet potato, beets, parsnips, turnips, rutabaga, the list goes on. While this process and recipe is pretty much foolproof when it comes to making oven baked veggie fries, the real star of the show here is the Bacon Jam Dipping Sauce. The Bacon Jam is the perfect combination of smoky, savory, and, dare I say… bacon-y. 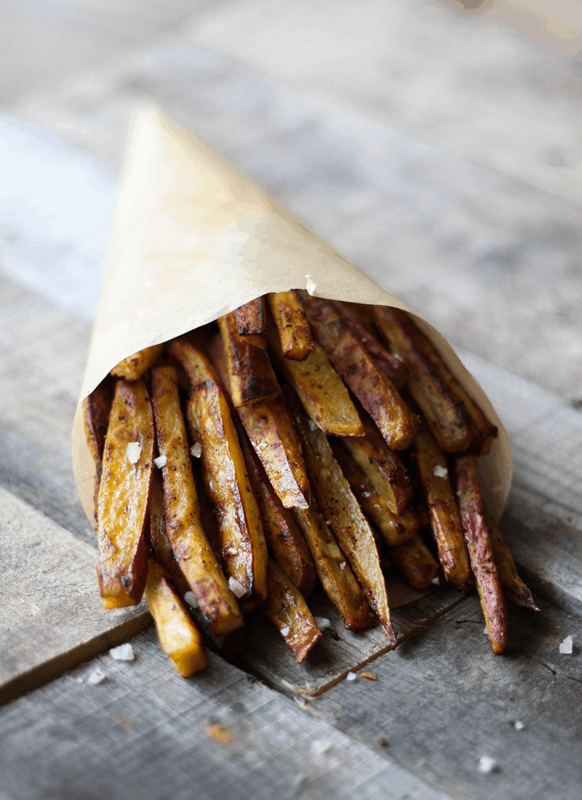 Surprisingly, it’s not so sweet as to be an unfit companion for sweet potato fries. In fact, it might just be a more appropriate match for them than your standard ketchup. Plus, it’s totally AIP friendly! You seriously won’t regret trying this combo. I shared the recipe for these incredible fries and dipping sauce on Rubies and Radishes, so head that way to get both recipes!